Katelyn Rearden, Wardlaw Academy’s 1000-point contributor, has added another honor to her resume. 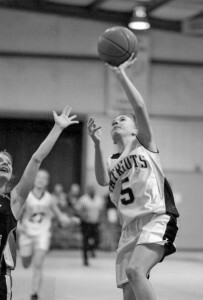 The Wardlaw Homecoming Queen was selected to play in the 2012 SCISA vs GISA All Star Basketball Game last weekend at Augusta Christian. Katelyn started for the South Carolina team and scored eight points in the SCISA 83-67 victory. She is one of three 1A players selected from the 21 girls teams in SCISA Class A Basketball.